Whilst my lonely watch I'm keeping! 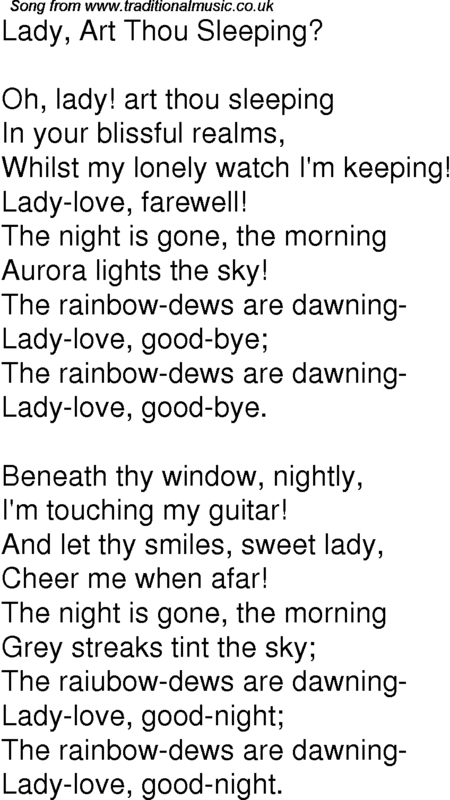 The rainbow-dews are dawning�Lady-love, good-bye. The rainbow-dews are dawning�Lady-love, good-night.